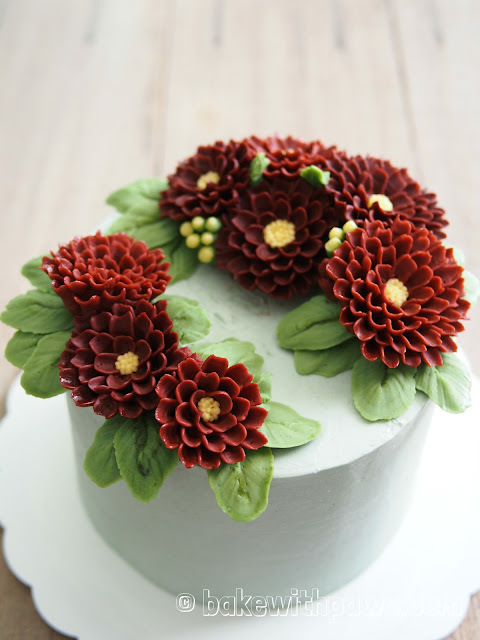 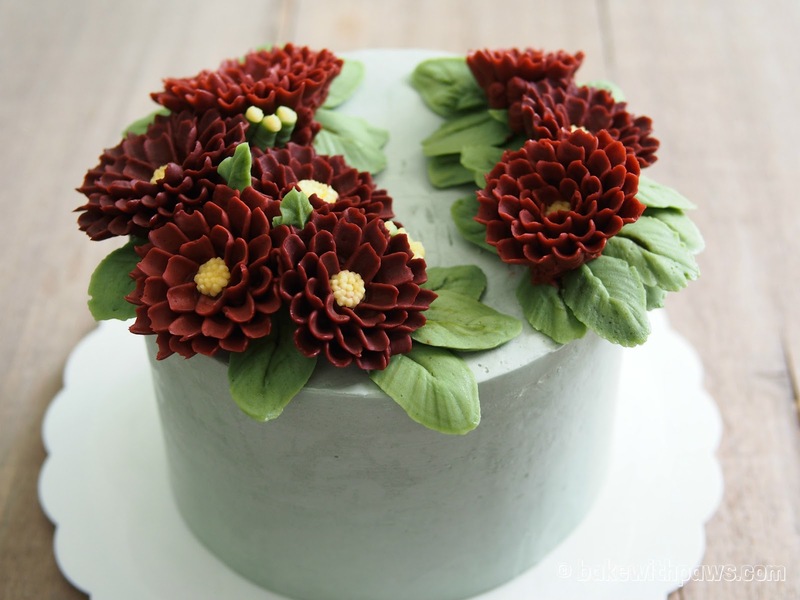 Dark Maroon Chrysanthemum Buttercream Flowers on a Black Sesame Sponge Cake. 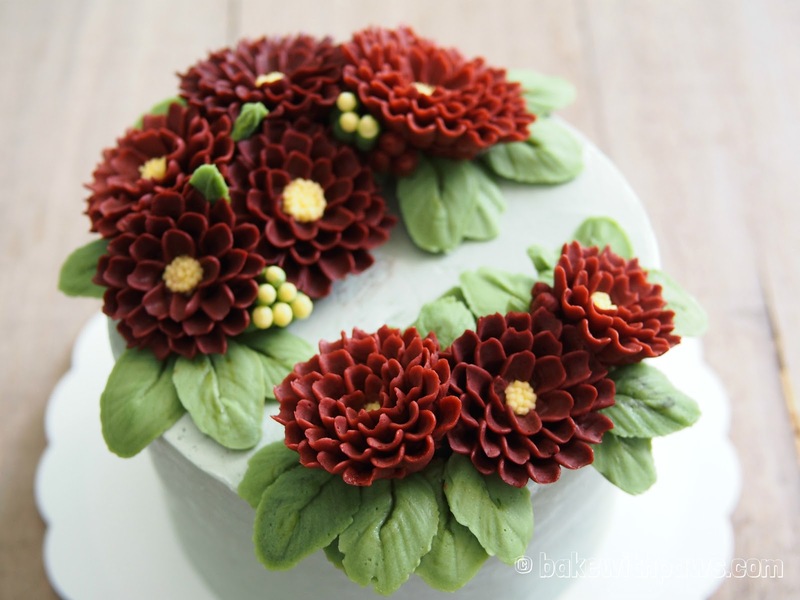 Chrysanthemums symbolises optimism and joy. I hope whoever receives this cake will be blessed with a lot of joy. 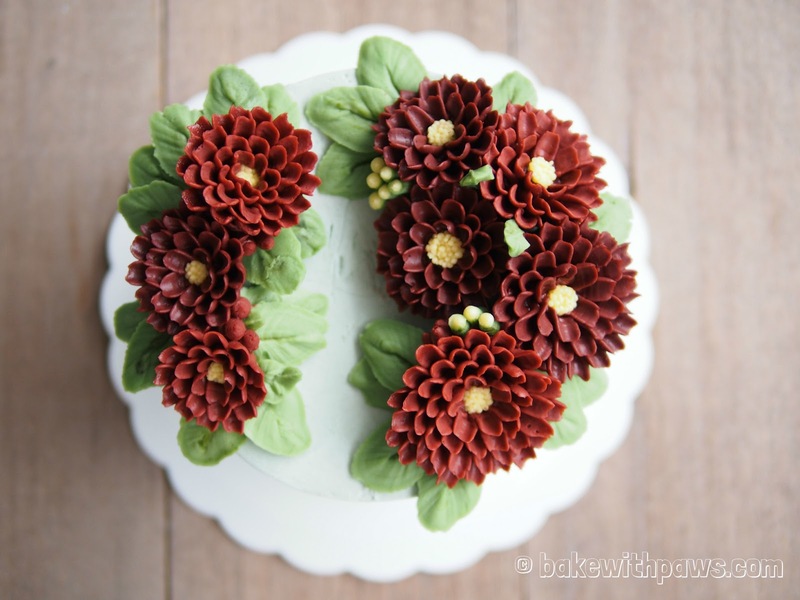 No recipe sharing, I just sharing photos of my work.